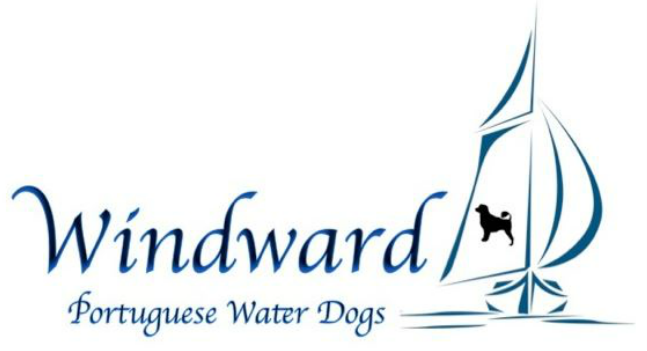 Interested in adding a Windward PWD to your home? Puppies are $2700 with a $300 non-refundable deposit required once the pregnancy has been confirmed (the remaining $2400 is due at the time of pickup). Deposits will be refunded if the dog does not have puppies or we ultimately decide not to place a puppy in your home. Deposits WILL NOT be refunded if you change your mind. We generally only have one litter per year (very rarely two litters in a given year). If we have accepted your deposit for a puppy, then that means we have turned away other wonderful families that had hoped to have one of our puppies. Therefore, deposits will not be refunded except in the circumstances already outlined. Future Breeding Plans: In 2019, we plan to breed Salsa to Blynken. We are hoping for spring/early summer puppies. **All puppies are sold on a contract agreement (varying based on show or companion homes). This contract will be provided well in advance of you receiving your puppy for your review. Puppies going to companion homes are sold on a strict spay/neuter contract ONLY. Show prospects are sold on co-ownership only. Can you "pick out" your puppy? In short, NO. As the breeders with many years of PWD experience, we evaluate our puppies from the beginning to learn their personalities. It is far more important that each puppy's personality will fit with your family's needs than it is that you get the puppy you want based on looks. If you are adamant that you get to pick out your puppy, then we are not the breeders for you. While we will do our best to honor your "wish list" (male/female, curly/wavy, color), we ultimately have the final say and will place each puppy in the appropriate home. So what does $2700 get you besides a new PWD puppy? The cost of our puppies includes complete health testing on their AKC-registered parents. Records of such tests and a copy of their pedigree will be provided (and should always be verified on www.ofa.org as some breeders have been falsifying health records ) electronically or with hard copies. Your puppy will have a vet exam and their dewclaws removed within days of birth. Your puppy will be wormed at least twice as it is common for nursing puppies to carry roundworms. They will receive their first set of vaccinations (their second set will be due at 9 weeks, which will be right after they go to their homes and is a great time to establish a rapport with your vet). Your puppy will be highly socialized to people of varying ages as well as older dogs. Our puppies are raised right in our living room so that they receive daily hands-on interaction and are familiar with the normal sights and sounds of a household. We also like to send pictures and/or videos at least once per week so you can enjoy watching your puppy grow. (If you live close or can make the trip, we LOVE to have our puppy families come for a visit when the puppies are a couple of weeks old and are getting active. The more, the merrier!) All records and information will be provided to you in a nice folder at the time that you pick up your puppy. Not only will you get a well adjusted PWD family member, you will also get lifetime breeder support. We are here to provide encouragement, suggestions, and our words of wisdom as questions arise. We provide information on food, training, puppy proofing, and necessary materials before your puppy comes home. Throughout your dog's life, we are only a phone call or email away for whatever you may need. ​If you're interested in being considered as a forever home for one of our puppies, then please complete our Puppy Interest Questionnaire. Robin and Christie will review your information and be in contact. 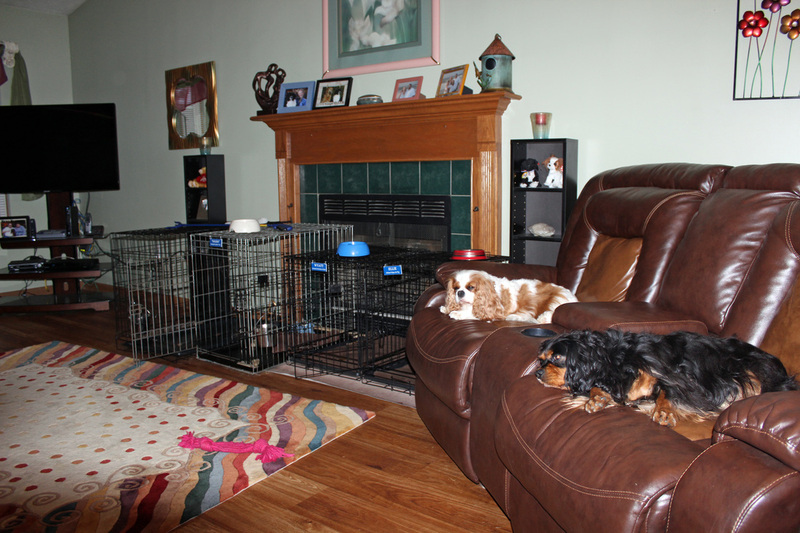 A photo of our 'kennel'...which is Robin's living room. The dogs are rarely in their crates. If we're lucky, they let us have a seat now and then!